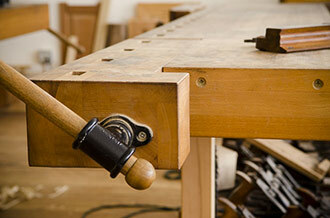 The workbench is the most fundamental, yet most important tool in a traditional woodworking workshop. 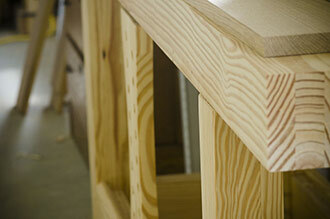 It’s difficult to build furniture by hand without a good sturdy workbench to build on. 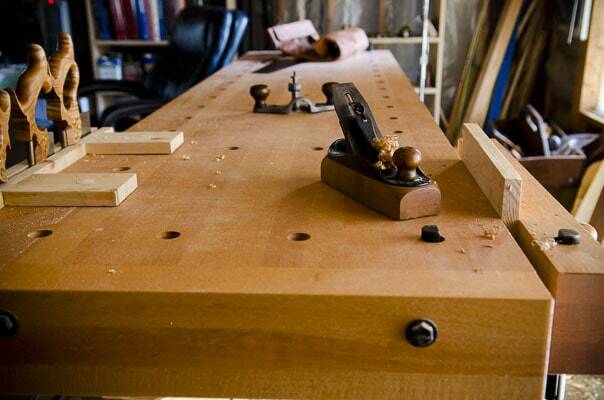 Whether you’re planning to make your first traditional workbench or planning to buy it, it’s important to do a little research beforehand and get the features that will help you enjoy working with hand tools. Some features should be pretty important to everyone, and some features are more a matter of preference. 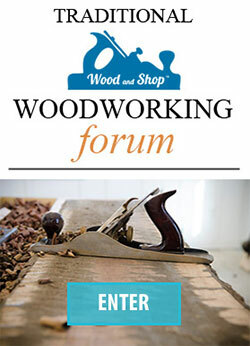 What Features to Look for in a Woodworking Workbench? One of the most important features to look for in a workbench design is sturdiness and stability. 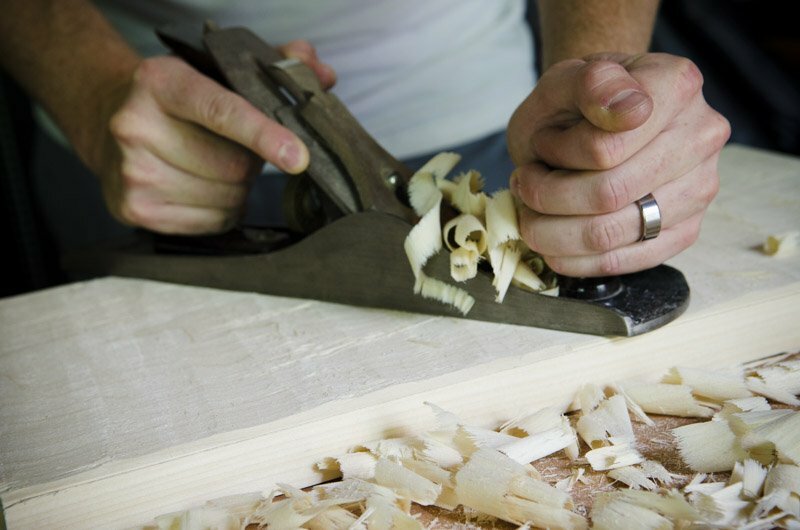 Hand planing and sawing on a cheap and flimsy workbench will become frustrating very quickly as your workbench moves and shakes across the room. Sheer mass and weight are usually the solution for a sturdy workbench, along with solid construction with good joinery. A workbench top of 3-4 inches thick will usually provide you with the mass you need. Some special workbench designs (like the Moravian Workbench) provide sturdiness through design (splayed legs, mortise & tenons, etc.) which lets you get away with a less massive slab top. 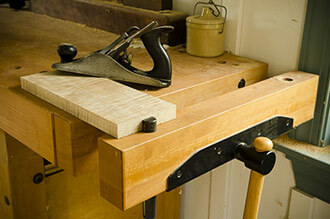 A leg vise is one of the most common traditional vises that you’ll find on antique woodworking workbenches. This type of vise is attached to a front leg (usually left side) and is tightened down with a wooden or metal screw and handle. 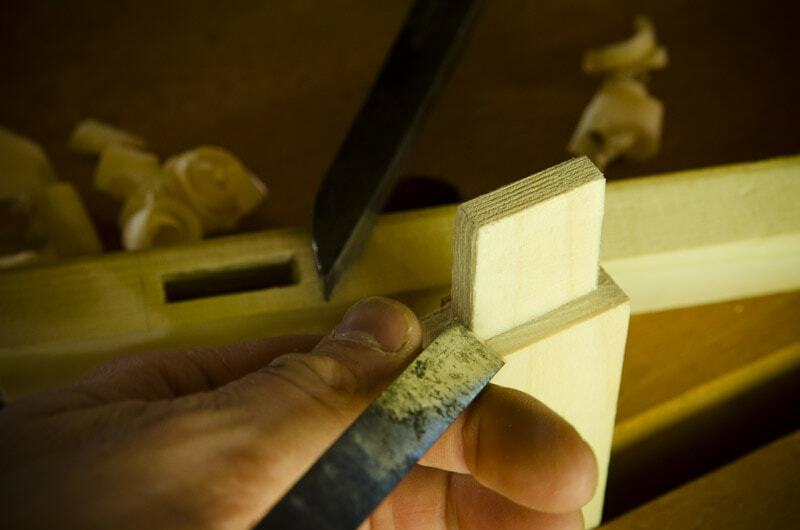 Shoulder vises were very common in continental Europe, and have a wide unobstructed opening that works great for cutting dovetails on wider boards. 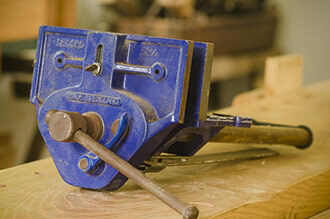 A face vise (part of the category with the same name) is another very traditional type of workbench vise. This vise is usually the same thickness as your workbench top and clamps against the top with either one or two screw arms. These metal vises came about during the mass production era of the industrial revolution. 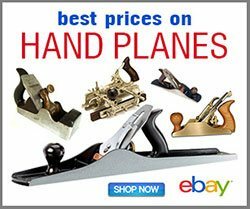 They are typically bolted to the bottom of a workbench top and wood is usually added to the jaws to offer protection to a wooden workpiece. 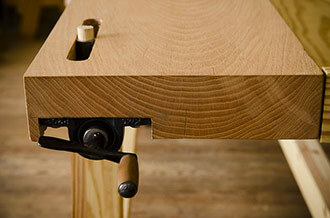 The Double-Screw Moxon Vise (featured in Joseph Moxon’s classic 1703 English Woodworking book “Mechanic Exercises”) is actually a movable vise that you can attach to any workbench top with clamps. 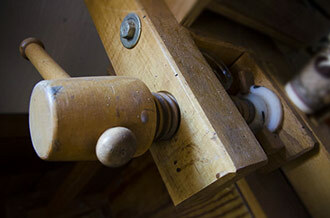 I love this vise for dovetailing large boards, because it has such a wide space between the wooden screws. 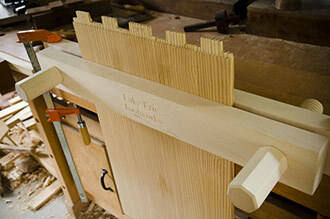 Lake Erie Toolworks made the solid maple Moxon vise that I use (find it here). 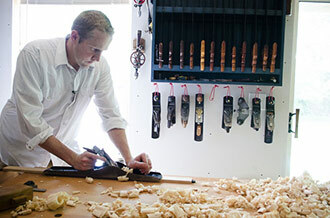 A tail vise moves a bench dog to clamp a workpiece along the length of the workbench. 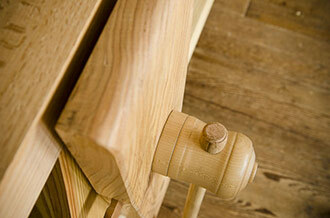 This type of vise also allows the woodworker to clamp a vertical piece in the opening. 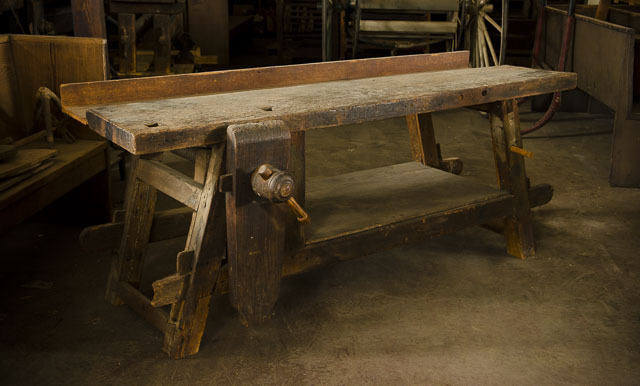 A wagon vise is similar to a tail vise that moves forward and backward to clamp a workpiece along the length of the bench, but rather than the entire enclosure moving, just the bench dog moves in an open recess. This is a simpler vise to install than a tail vise. 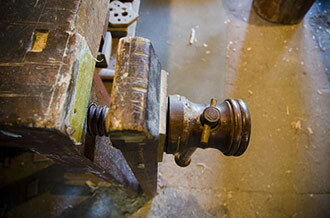 And end vise (part of the category with the same name) is just like a face vise, but attached to the end of a workbench. This type of vise is useful because it allows you to tighten boards between dogs (like with tail vises and wagon vises), but also offers another area for dovetailing, etc. A lot of cheaper commercial workbenches have popped up with a workbench top that overhangs the legs. This will lead to frustration because you won’t be able to clamp a long board or door in your left vise and clamp the other end of it against the legs. So just make sure that the legs are flush with the front of the workbench top. 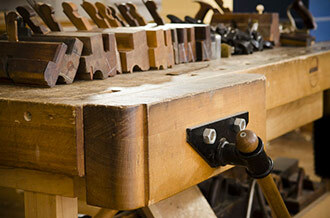 The dimensions of a traditional workbench can be somewhat a matter of preference. But typically a bench top wider than around 24-inches is too wide (difficult to reach across). I really like having a longer workbench (8 feet long) because it allows me to work on longer pieces, but my Moravian workbench is just over 6 feet long, and I’ve rarely felt that it’s too short. But most 6 foot workbenches (other than the Moravian workbench) are pretty flimsy. Just look at the space you have for a workbench and let that be your determining factor. 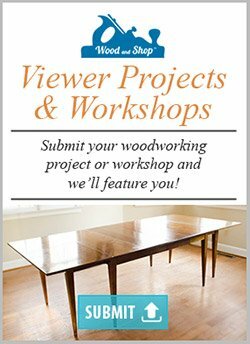 Building your own workbench can certainly seem overwhelming for new woodworkers, but with the right assistance it can be an amazing project for beginners, and will even teach you many fundamentals about traditional woodworking. Below are a few traditional design options that have recently become popular because of their fantastic features (and some helpful promotion by famous woodworkers). 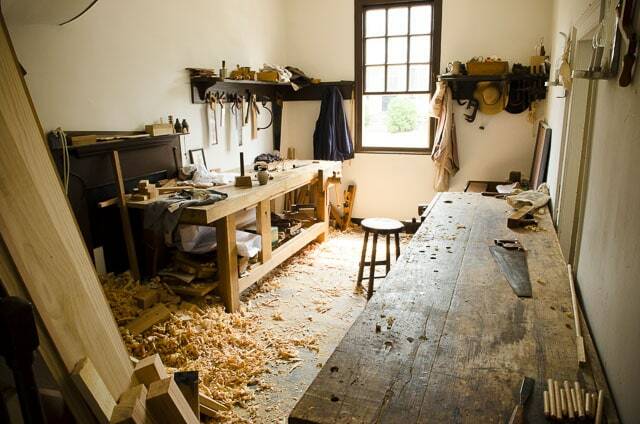 Several years ago master woodworker Will Myers found a historical workbench that amazed him at the Olde Salem Moravian settlement in North Carolina. It was collapsible & portable, very attractive, small enough to fit into smaller spaces, yet surprisingly sturdy due to it’s angled legs. Typically you need a very heavy workbench to prevent the bench from rattling and moving across the floor when hand planing boards. 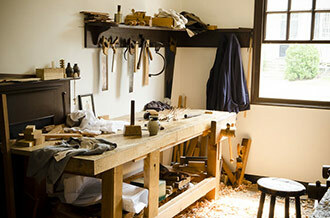 He named it the “Moravian Workbench” because it was built by Moravians in the 1800’s. He loved the old workbench so much that he decided to recreate the workbench. He made some improvements in the design while building several more benches. 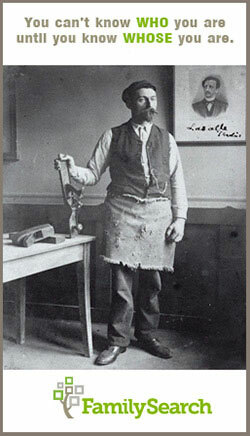 Then he started teaching classes on building the Moravian Workbench at Roy Underhill’s Woodwright’s School (see the classes here). 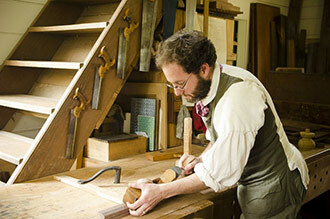 So Will got the opportunity to build the Moravian Workbench many more times, refining the details as he taught students. 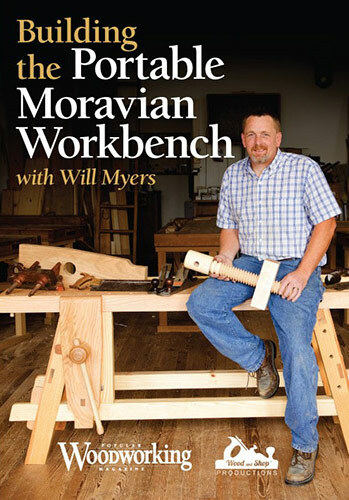 I fell in love with the Moravian Workbench when I saw it and decided to work with Will to film and produce the DVD “Building the Portable Moravian Workbench with Will Myers”. I went to great lengths to film a step-by-step tutorial with hand tools, with as many close-up details as I could possibly get. I wanted even beginners to be able to follow along and build this workbench. And this bench is very affordable to build; it can easily be built for under $500. 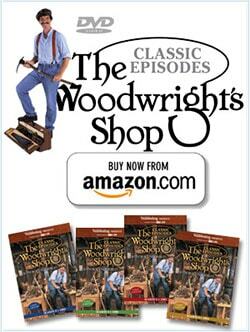 I published the DVD through Popular Woodworking Magazine a couple years ago, and it quickly became their top selling DVD ever! I’ve even had people tell me that they have their Moravian Workbench setup in their apartments in Manhattan! You can purchase it here in my store. This workbench that Chris Schwarz came up with is a good option if you’re not concerned with having an attractive and traditional workbench, but still want something that’s sturdy and quick to build. You can purchase Chris’ DVD or digital download video here. 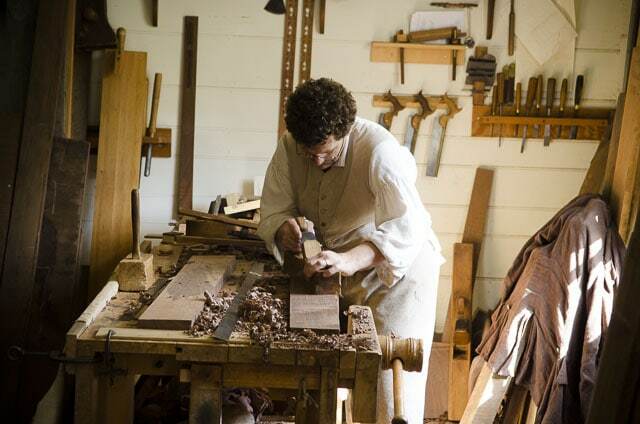 The Roubo Workbench is based on a design featured in an 18th century book by Frenchman André Jacob Roubo. Christopher Schwarz, in his above-mentioned books popularized this massive and sturdy workbench. Many online tutorials have been created for building the Roubo workbench, but here are two that are pretty good. Buying a workbench is a valid option for woodworkers who don’t have the time or are unsure about undertaking such a large project as a beginner. If you’re new to woodworking, and have less time than money, then you may decide to buy your first workbench. Don’t let anyone give you a hard time. It’s just fine to buy a workbench. 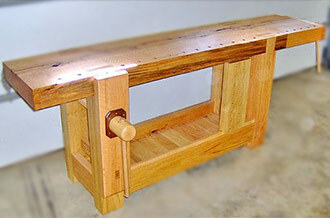 Although I’m building the benches for my woodworking school, most schools actually buy their benches. Although you should eventually build a workbench, because no store-bought workbench will have every feature that you want. But you won’t truly know what you want in a workbench until you’ve been using one for a while. One of my workbenches was purchased in a store. 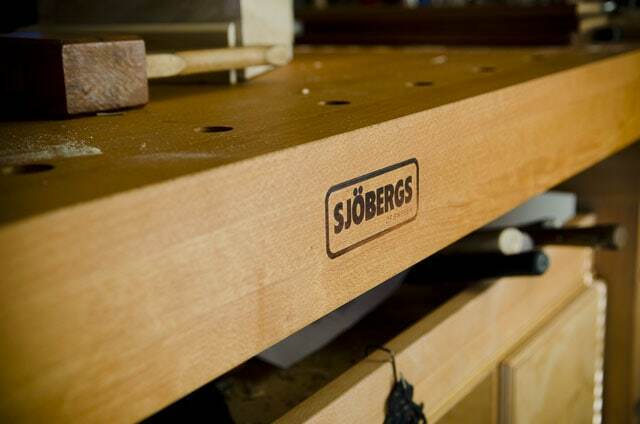 I spent a good deal of time researching different commercial workbenches, and eventually settled on a European style workbench made by Sjobergs in Sweden. 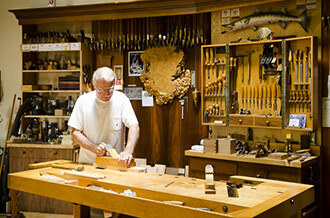 The workbench is completely made out of beech wood. 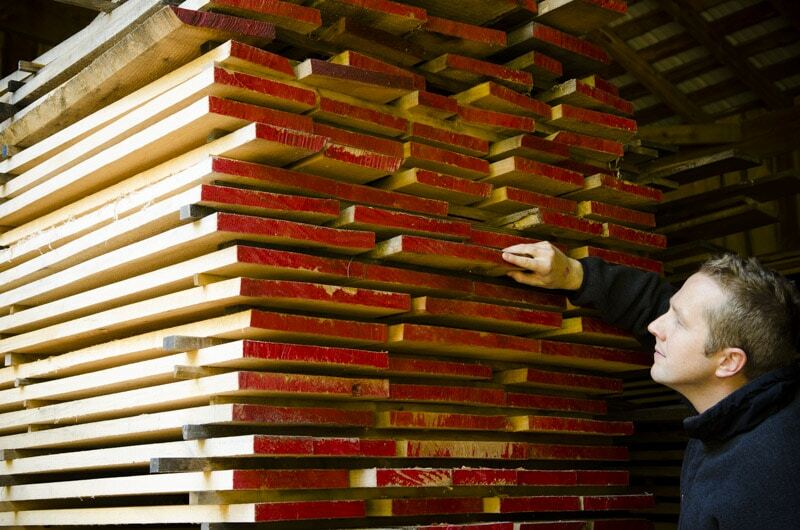 European Beech is a very sturdy and stable hardwood, and is very plentiful in Europe. 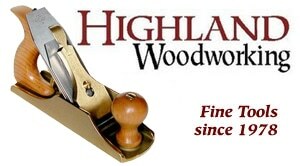 Most historical wooden hand planes were made out of beech, so you know it’s quality lumber. 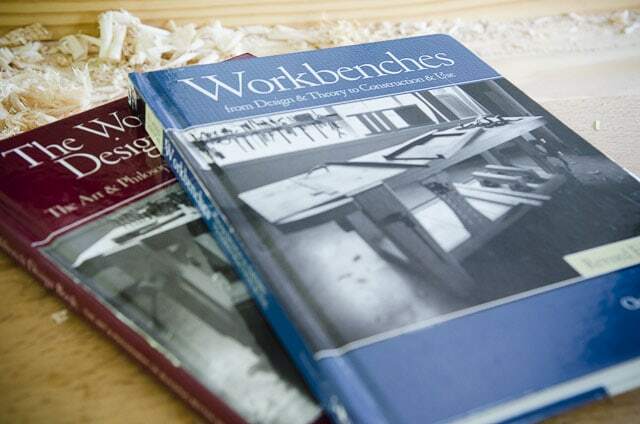 This is the Sjobergs workbench model that I purchased several years ago (there’s a video about this bench at this link too). I got a pretty good price on it. It is 8 feet long with a 4″ thick beech top and beech base. The bench weighs in at over 300 lbs. The face and end vises are convenient and powerful. The bench top is flush with the legs, which is great for planing large boards. I love tool trays (some people despise tool trays), but I also love having a workbench, like this, without a tool tray. There’s a wide, flat 24-inch wide surface of this Sjobergs workbench. The bench came with 1″ dog holes and metal bench dogs, and I drilled my own holes for holdfasts (see below). I actually purchased my workbench with an optional under cabinet, which is handy but not vital. 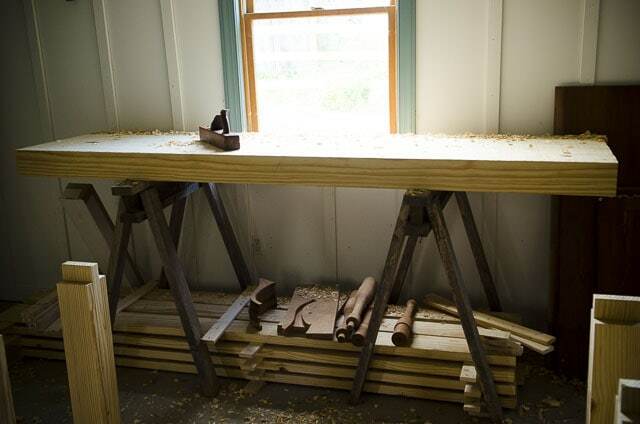 This large “Hofmann & Hammer Premium German Workbench” is the workbench that Roy Underhill uses for his students at his Woodwright’s School: here. I’ve used them quite a few times and really love the traditional-style vises. It’s not as heavy as my workbenches, but you can remedy that by placing bricks underneath the workbench undercarriage to weight it down. You can also find quite a few workbenches to purchase (new and used) on eBay. Shipping is surprisingly affordable on some of these workbenches on eBay. Here’s some workbenches on eBay. Just make sure that it’s heavy and sturdy enough for your intended use. 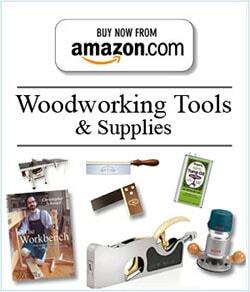 Amazon now has a wide selection of workbenches. Many are flimsy, so make sure you use my above-advise to help you in choosing a workbench. Here are some workbenches and workbench accessories. 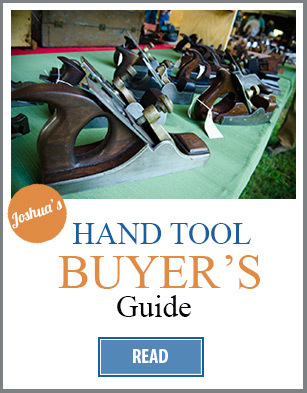 This workbench buying guide continues on the next page….